COLORADO SPRINGS, Colorado - The nearly week-long rifle competition known as the Robert Mitchell Rifle Championships concluded today at the Olympic Shooting Center in Colorado Springs with titles awarded in the Men’s and Women’s Air and Three-Position Rifle events. The annual rifle-only match attracted nearly 60 athletes from North and South America looking to start the year strong before the 2019 International Shooting Sport Federation (ISSF) and World Shooting Para Sport (WSPS) competition seasons begin. 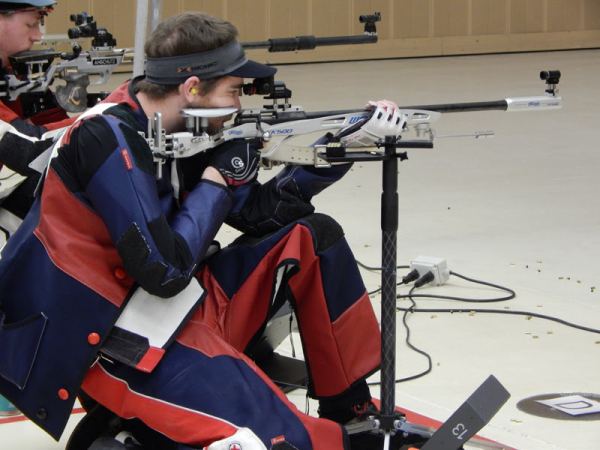 Air and Three-Position Rifle each consisted of two days of Qualification, plus a Final based on the two-day Qualification score for each event. The Women’s Air Rifle podium looked remarkably like the one in November at the Championship of the Americas in Mexico as Mindy Miles (Weatherford, Texas) once again won gold and Ali Weisz (Belgrade, Montana) once again won silver. Junior athlete Macey Way (Colorado Springs, Colorado) won the bronze. In the Junior Women’s Air Rifle event, Way won gold, Emily Stith(Jacksonville, Florida/U.S. Army Marksmanship Unit) won silver and Morgan Kreb (Colorado Springs, Colorado) won bronze. On the men’s side, 2016 Olympian Lucas Kozeniesky (Fairfax, Virginia) won the gold medal, Patrick Sunderman (Farmington, Minnesota/USAMU) won silver and Junior athlete Brandon Mach (Riley Township, Michigan) won bronze. For the Junior Men, Gavin Barnick (Mora, Minnesota) won gold, Brendan Seitz (Milford, Massachusetts) won silver and Benjamin Vogrin(Colorado Springs, Colorado) won bronze. The Men’s Three-Position Rifle competition saw world-class scores posted form several finalists, including an impressive 1178 on the first day of Qualification from eventual gold medalist Kozeniesky, who claimed his second individual gold medal of the match. Dempster Christenson(Sioux Falls, South Dakota) won silver and two-time Olympian and recent World Championship bronze medalist Michael McPhail (Darlington, Wisconsin/USAMU) won bronze. TCU Rifle Assistant Coach Hannah Black (Richmond, Virginia) won gold in the Women’s Three-Position Rifle event. Sarah Beard (Danville, Indiana/USAMU) won silver and Yarimar Mercado Martinez of Puerto Rico won bronze. A Mixed Junior Final was conducted in Three-Position Rifle with Stith winning gold, Katie Zaun(Buffalo, North Dakota) winning silver and John Peterson (Keller, Texas) winning bronze. Though medals weren’t awarded in Paralympic events due to the small number of competitors, world-class scores were put up by athletes on their way to the WSPS World Cup in Al Ain, United Arab Emirates later this week. Taylor Farmer (Castalia, Ohio) had two strong days of R3 (Mixed 10m Air Rifle Prone SH1) where she posted the top overall score, shooting a 631.8 on the first day and 630.8 on the second. In R5 (Mixed 10m Air Rifle Prone SH2), Stetson Bardfield (Colorado Springs, Colorado) shot a 632.1 on his first day and 630.0 on the second. View and download images from this match at www.flickr.com/usashooting. This match is named for Robert Mitchell, who helped build USA Shooting from its infancy as a National Governing Body through his 30-year career with the organization. He spent time as the National Team Coach, Director of Operations and Chief Executive Officer. During his retirement ceremony in August 2016, the USA Shooting staff announced that they were renaming this match from the Rocky Mountain Rifle Championship in his honor. The match originated under Mitchell back in 1986 when he was National Rifle Coach. About USA Shooting: USA Shooting, a 501c3 non-profit corporation, was chartered by the United States Olympic Committee as the National Governing Body for the sport of shooting in April 1995. USA Shooting's mission is to prepare American athletes to win Olympic medals, promote the shooting sports throughout the U.S. and govern the conduct of international shooting in the country. Check us out on the web at usashooting.org and on Twitter at twitter.com/USAShooting. 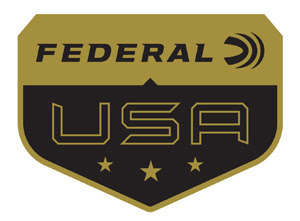 Federal Premium, headquartered in Anoka, MN, is a brand of Vista Outdoor Inc., an outdoor sports and recreation company. From humble beginnings nestled among the lakes and woods of Minnesota, Federal Premium Ammunition has evolved into one of the world's largest producers of sporting ammunition. Beginning in 1922, founding president, Charles L. Horn, paved the way for our success. Today, Federal carries on Horn's vision for quality products and service with the next generation of outdoorsmen and women. We maintain our position as experts in the science of ammunition production. Every day we manufacture products to enhance our customers' shooting experience while partnering with the conservation organizations that protect and support our outdoor heritage. We offer thousands of options in our Federal Premium and Federal® lines-it's what makes us the most complete ammunition company in the business and provides our customers with a choice no matter their pursuit. ELEY is a Proud Sponsor of the USA Shooting Rifle and Pistol Teams: ELEY Limited, manufacturer of the world's most consistently accurate rimfire ammunition, has been the Official Sponsor and Official Supplier of .22 rimfire ammunition of the USA Shooting rifle and pistol teams since 2000. For more information on ELEY and their products, please visit eley.co.uk.